As you probably noticed I haven’t posted for a while, sorry about that. I have been very involved in the web design of our on-line design boutique the Mod Bohemian. I should say web design has become all-consuming. Being picky can make things take longer. I am posting about something that happened to me while I was being over taken by HTML. Which is not exactly a fun thing. One day as I was taking a break from the computer screen, I saw a little creature in my yard. A teeny tiny little thing struggling to even stand up. 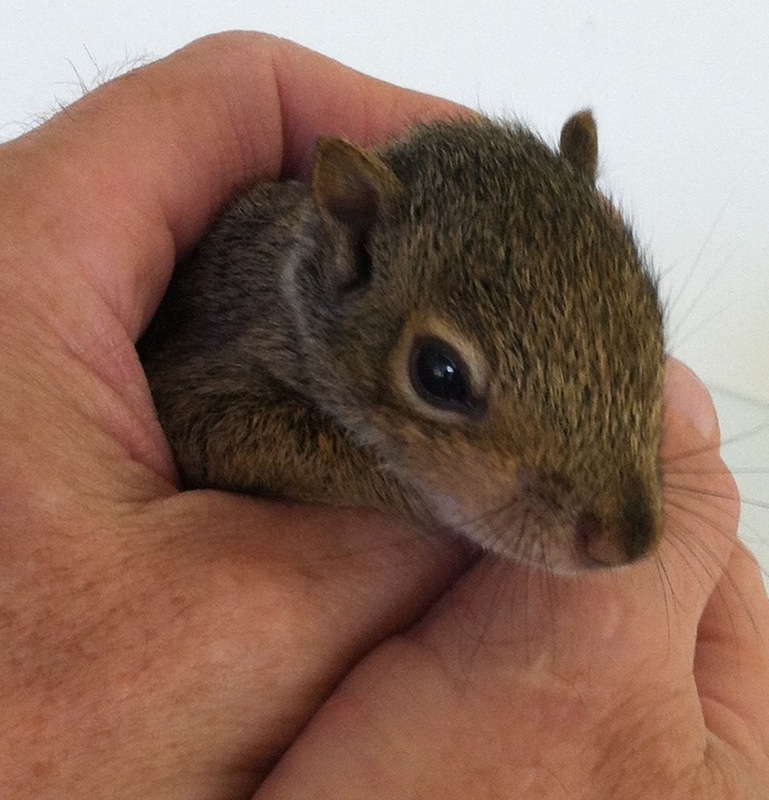 I went to investigate and what I found was a little baby squirrel. My husband had told me that there was a little baby animal in our yard and he thought the Mom would come back for it. He had built a stick tepee to shelter it. The Mom hadn’t come back and the poor thing was on his last leg. 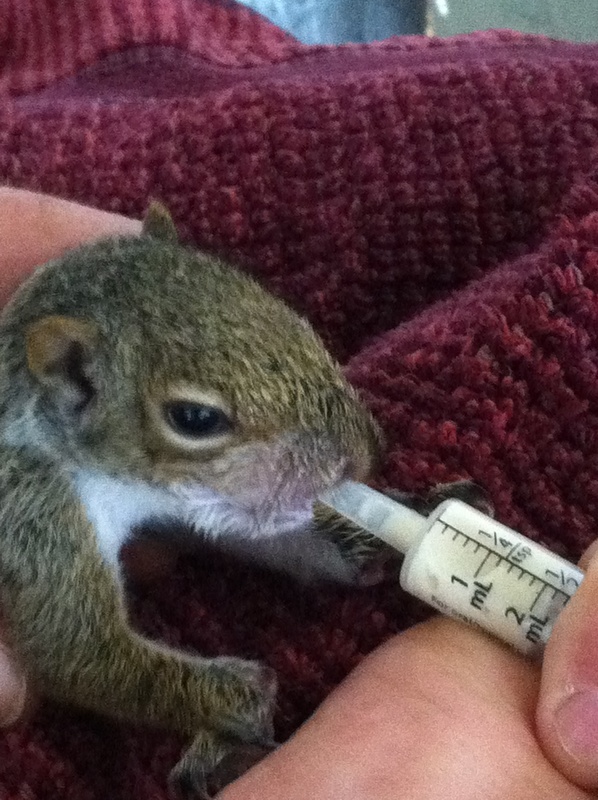 I didn’t know what to do to help this little squirrel . So, I went and got a lid with water in it and a piece of apple and a chip. Not really what a baby squirrel eats, I found out. So I did research on the web and found out what to do and got him warm, and fed him pedialyte with a syringe and tried to help the little guy. I called him Bushy the squirrel. When he was rehydrated we feed him puppy milk from the pet store. He is quite the good-looking squirrel. 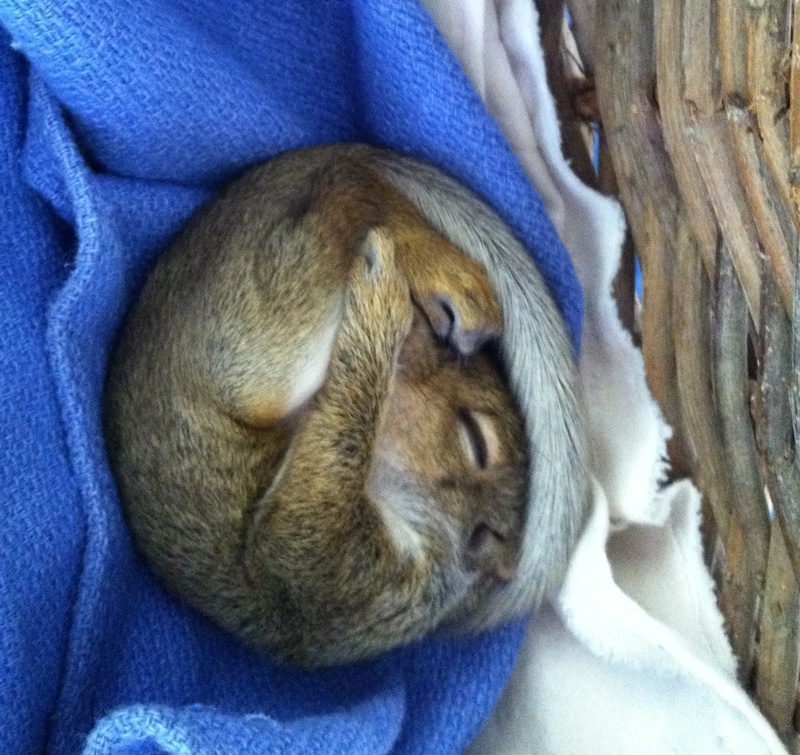 I cared for him and then I found out about Wildlife Rescue Center. 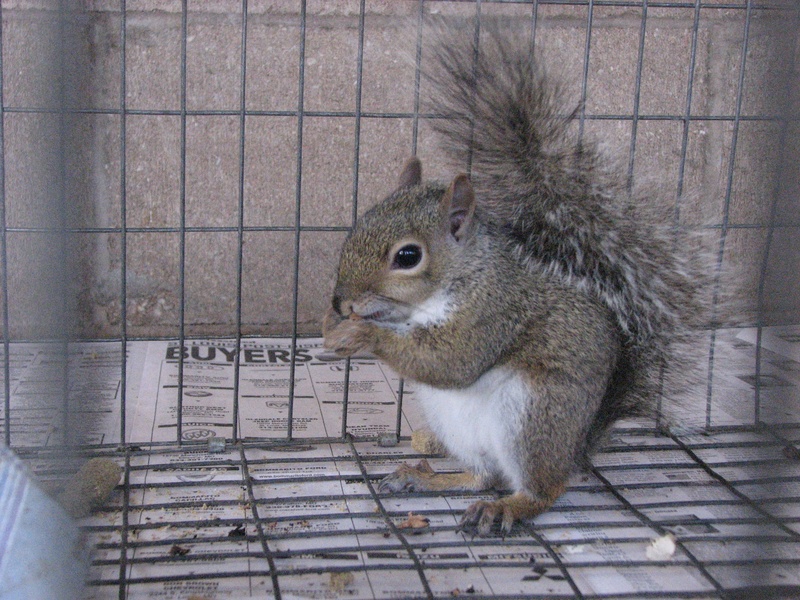 Since squirrels are wild creatures and as much as I wanted to keep him I knew he had to be wild. So I took him to their facilities. 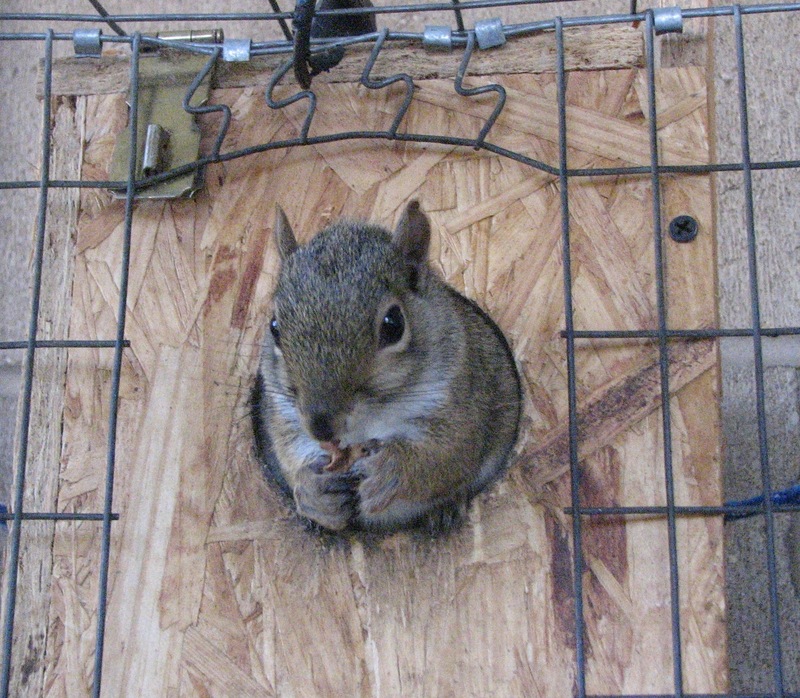 Wildlife Rescue is a non-profit wildlife rehabilitation center treating over 2,000 animals a year and releasing the ones that can be released back to their natural habitat. They are doing a really great thing. He has a shelter box the Boy Scouts built and will be released when he is ready. I call and check on his progress and he is doing good. So there you have it. I rescued this little squirrel, but he rescued me from being stuck in front of a computer monitor. Helping something in need is ‘a good thing’ as Martha Stewart says. If you want to donate to the center that would be great. Send your check to the above address. Let them know you found out about them from the Bushy squirrel story. What a wonderful ,heartwarming story. The joys of caring for a helpless creature and watching them flourish under your care; is indescriblely fulfilling ; what a tender and warm story ! Kudos to All the rescue organizations out there who work tirelessly to help so many! Great job Dottie. & Don for saving his life! Thanks Paula and everyone who liked the story. 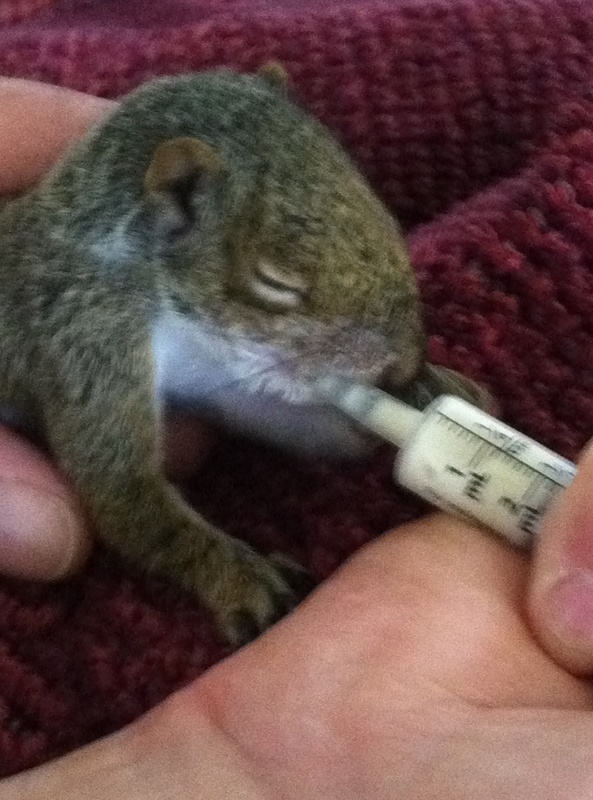 Please share this story so people can know about the Wildlife Rescue and Bushy!